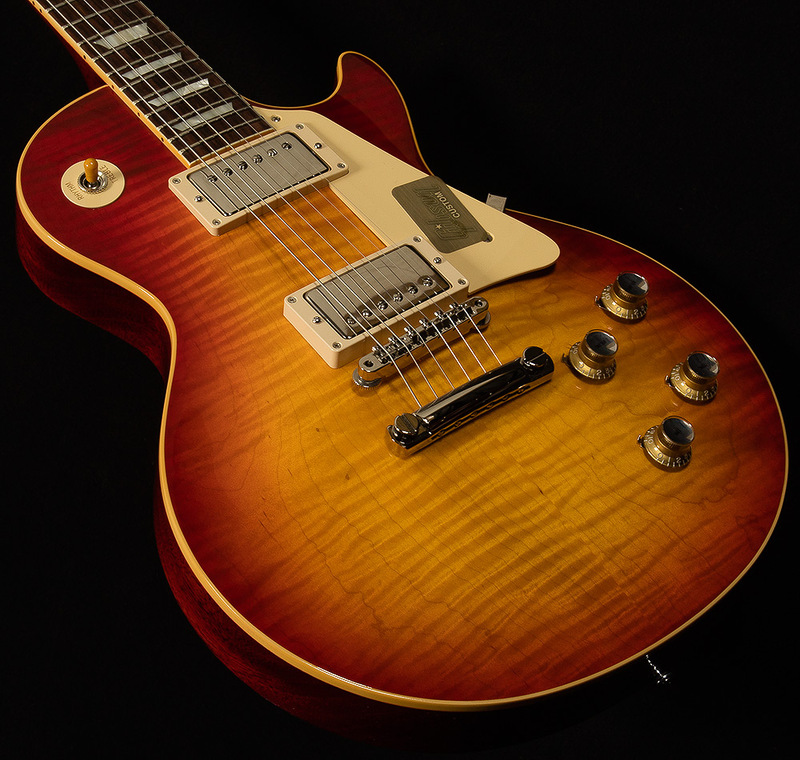 The 2017 Gibson Custom Shop Les Paul Standard represents a greatest hits of sorts, taking inspiration from the enormously popular historic instruments that came before them, in a package that is simply irresistible. All hide-glue construction and premium tone wood selection come together to create some of the most resonant, lively instruments we've had the privilege of playing. You can not only see the difference, but you can FEEL it, too. 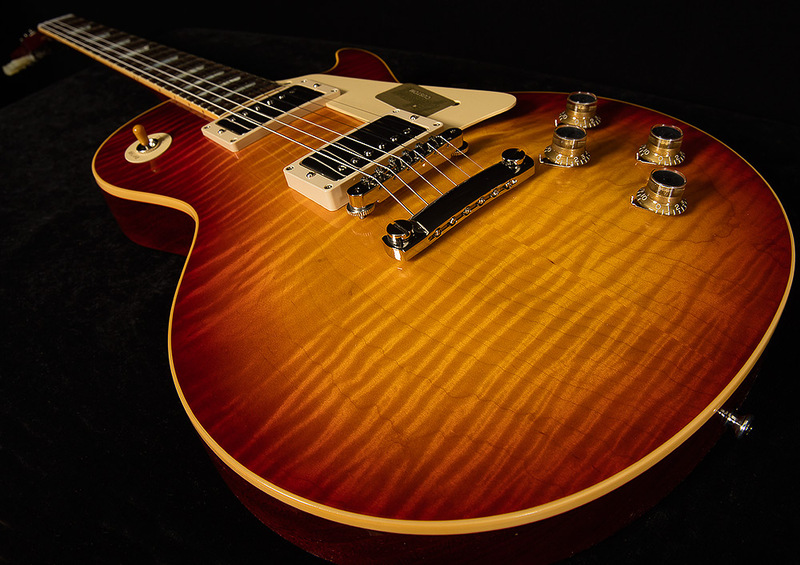 Obsessively perfect, ultra-accurate plastics and aesthetic appointments compliment stellar finish options, such as aniline dyed 1-piece mahogany backs, historically accurate deluxe Kluson tuners, and gorgeous maple tops to create an instrument with looks that match it's tonality in both accuracy and feel. Additionally, a historically accurate serial number is added for a beautifully convincing presentation. A pair of Custom Buckers complete the package, with a voice so vintage accurate it's scary, unleashing the glorious, ultra-rich harmonic content of these phenomenal instruments. The Wildwood Guitars team is beyond ecstatic with the 2017 Gibson Custom Shop Les Paul Standard, and we couldn't be happier with the results! Wildwood Guitars is thrilled to offer these exceptional, historically accurate instruments to our exceptional customers! 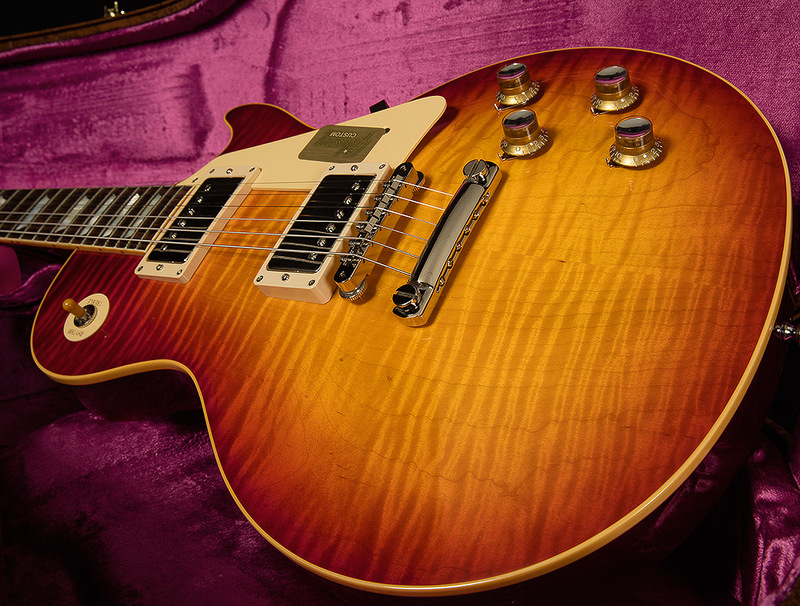 This Les Paul is in fantastic condition with no play wear. 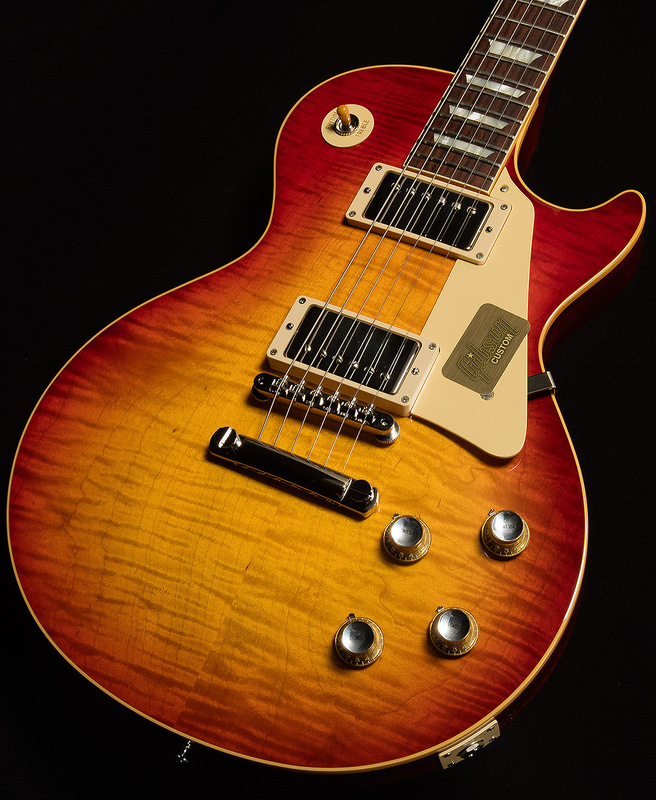 A killer sounding Les Paul for a great price! 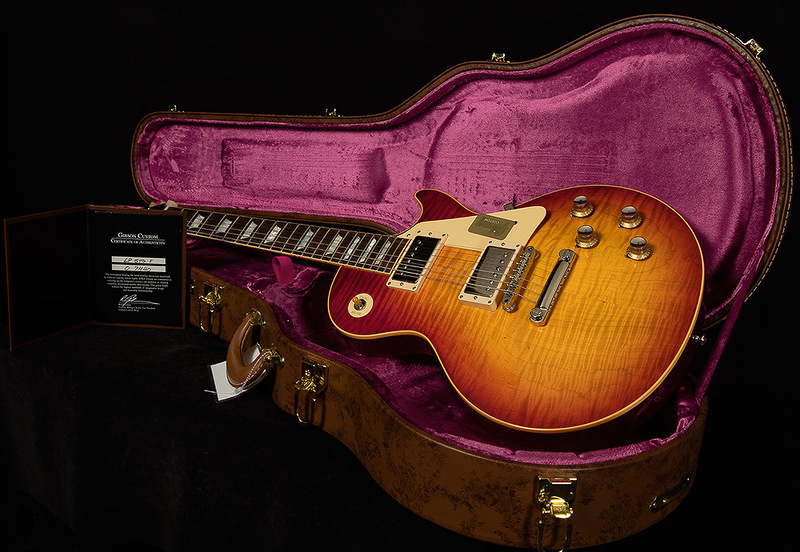 Includes the original hardshell case that is also in excellent condition and COA.